"Oh, that's okay, it came with the house anyway, so… no big deal, I guess!" We're almost into October, which means it's just about time for the horror season. To kick things off (a bit early) we're sharing this fun, freaky horror short film titled Where Is It, from co-directors Zak White and Todd Spence. This clever little horror short is about two friends who connect up over FaceTime for a chat. One of them just returned home from a trip, and the other watched her house while she was away. She accidentally broke an old mirror that was on the wall, neither thinks much of it. But apparently it has some importance to someone in the house. Thanks to io9 for the tip on this short. Original description from YouTube: "It's a simple question…and you better have the answer." 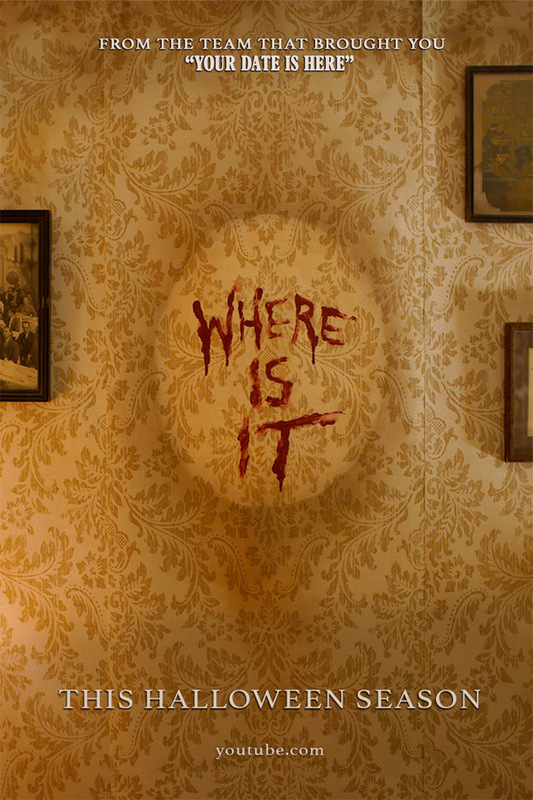 Where Is It is directed by filmmakers Zak White (@TheZakW) and Todd Spence (@Todd_Spence), featuring cinematography and editing by Dave Jacobsen. The film stars Whitney Gries, Travina Springer, and Patrick Keane. The film features make-up work by Kate Klein. White & Spence also have another horror short film completed, titled Your Date Is Here, which is currently playing at film festivals. Stay tuned for more updates from White & Spence. To see more shorts click here. Your thoughts?